Spacious room with the double bed, full en-suite bathroom and perfect location across the kitesurf beach. Beautiful views both from the bedroom and balcony. Huge coliving apartment has 3 bedrooms and 3 balconies, but only this room features private en-suite bathroom. Fibre optic and laptop friendly workspace with ergonomic chair in the room is what makes it perfect for digital nomads looking for upmarket coliving accommodation in Cape Town. 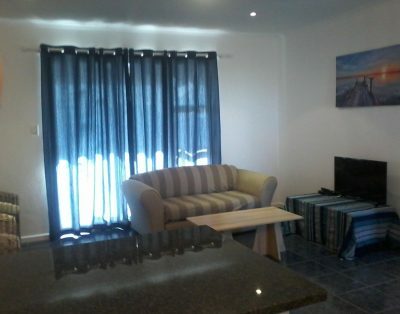 Apartment is centrally located and only a short walk to all the restaurants and bars in Blouberg. 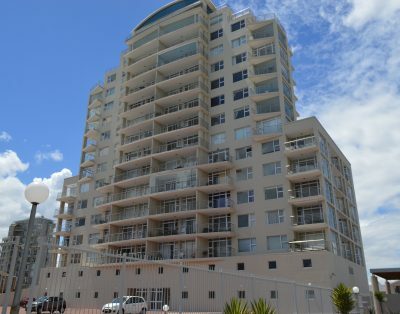 You will enjoy living by the beach with sea and Table Mountain view from the main balcony, main bedroom and living room. Blouberg kitesurfing beach is literally accross the street. The Waves is upmarket and very safe residential complex. Huge garage can fit both a car and plenty of the kitesurf equipment. Welcome to CoworKite coliving by the beach. We live near by and we’ll be happy to give you advices about best restaurants, bars, kitesurfing spots and other activities in and around Cape Town.